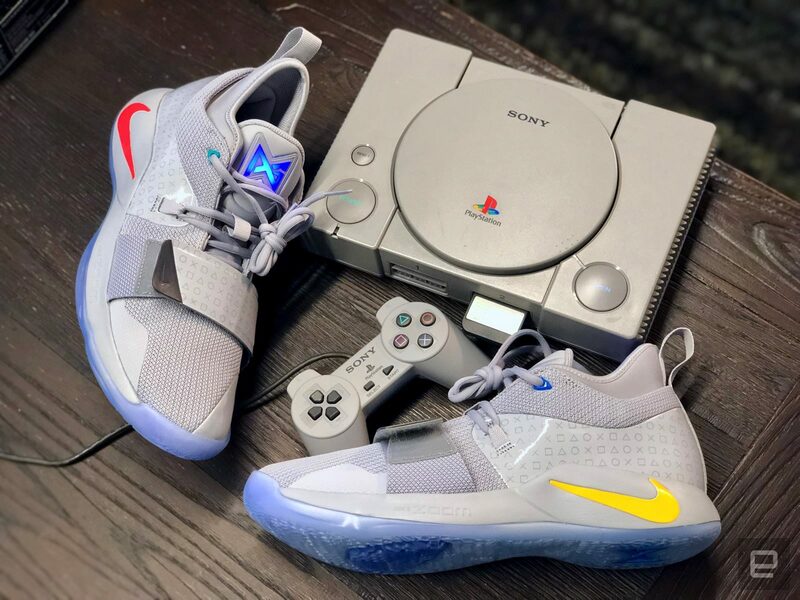 Just a week ago, you got a first glimpse of the new Nike PG 2.5 x PlayStation, which was inspired by the color-matching of the original PlayStation system. 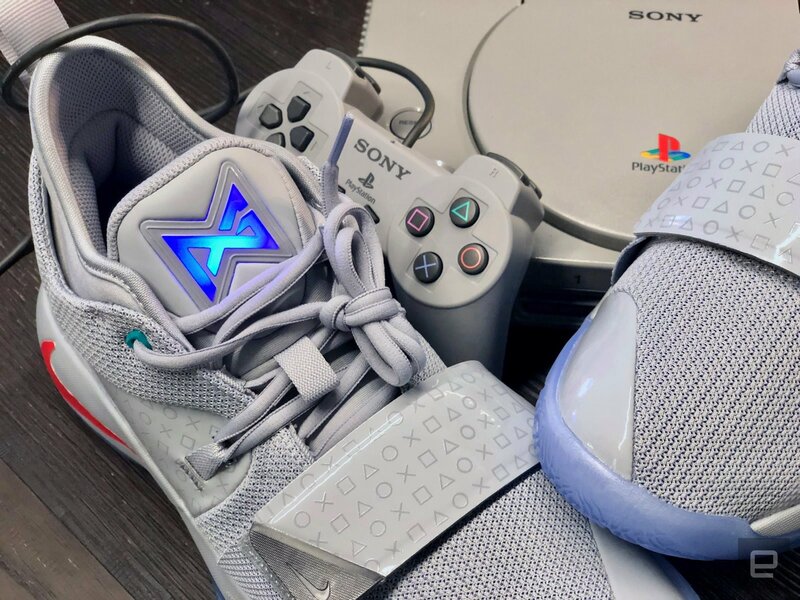 It connects NBA player Paul George and his love for gaming at a time when he’s found a new role for the pastime in his life — off-court restoration. 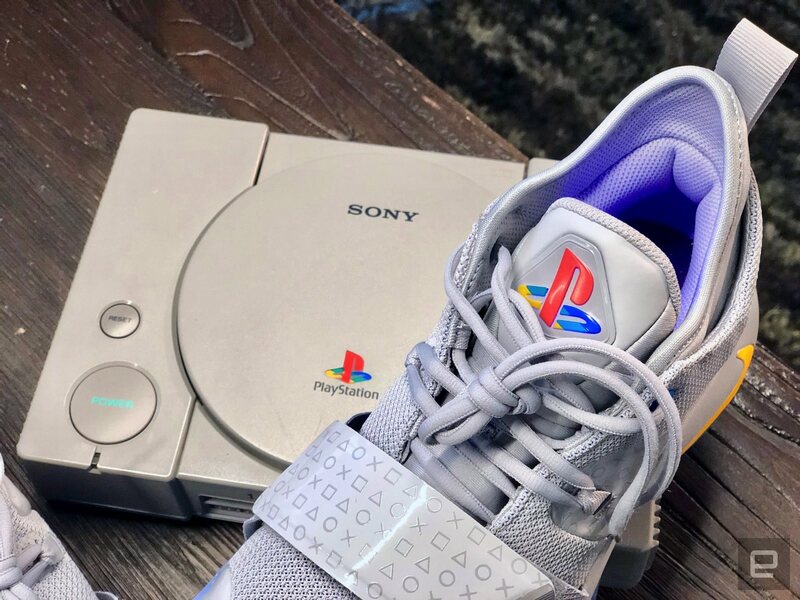 These sneakers feature a pattern of the iconic PlayStation symbols through the shoe’s counter and the heel, adding the original gray of the first console as well as the classic four-color PlayStation logo on the left shoe — an alternate take on the PG2’s light-up tongue. 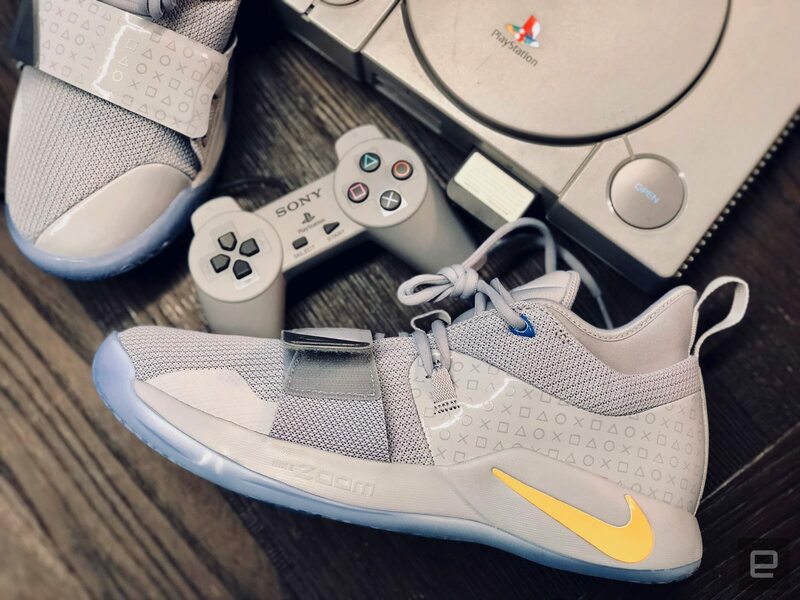 The Nike PG 2.5 x PlayStation made its first public appearance on November 21 during the Thunder’s away game versus the Golden State Warriors (above video). “Before, I played video games just because it was fun. Now I do it because that’s how I relax. I need an exit from reality sometimes, to get away, to be in a different place and different moment.” said George says. Read more for additional hands-on pictures and information. 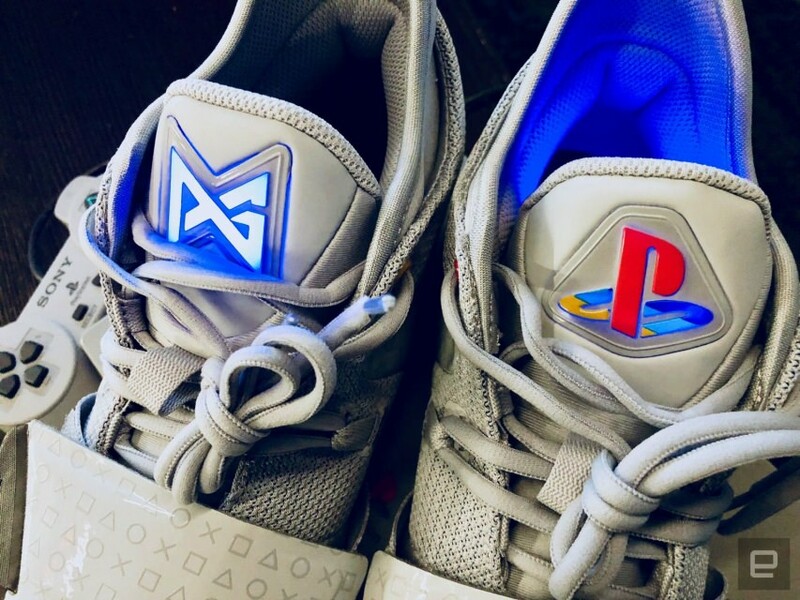 “Whether you’re a gamer or a sneakerhead, you probably want these. But as you probably know by now, these are going to be hard to get, because it’s a limited-edition collaboration. 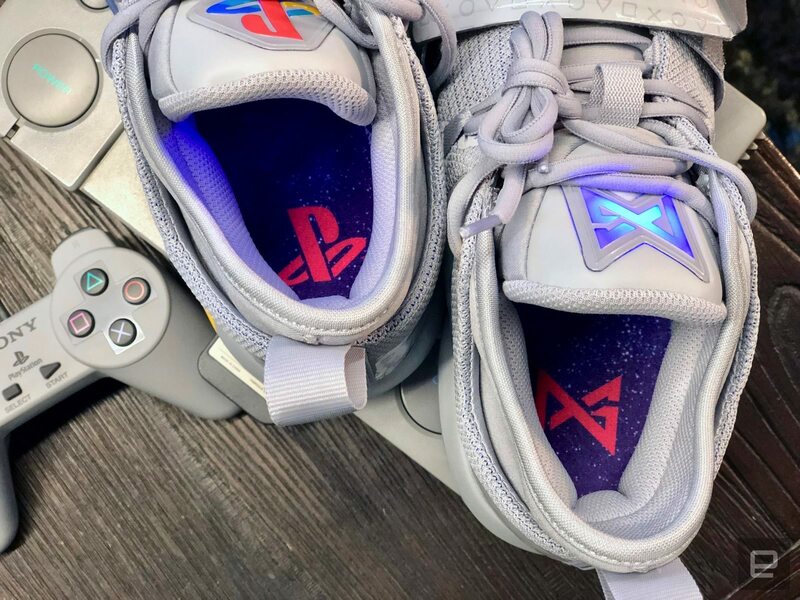 The PlayStation PG2s, for instance, sold out in minutes. Still, you can try to get yourself a pair on the Nike SNKRS app for iOS and Android this Saturday at 10 AM ET, where they’ll be sold via the Draw (aka raffle) for $110. If you don’t get them there, you can try select retailers including Foot Locker,” according to Engadget.